It is a wonderful feeling to see my child SO excited about an Montessori educational product that he HAS to take it out of the packaging by himself and work with it right away! 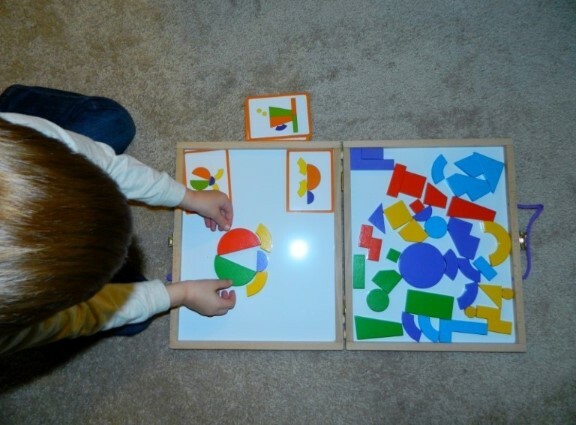 Samuel couldn’t wait to work with this magnetic, dry erase board with magnetic shapes. 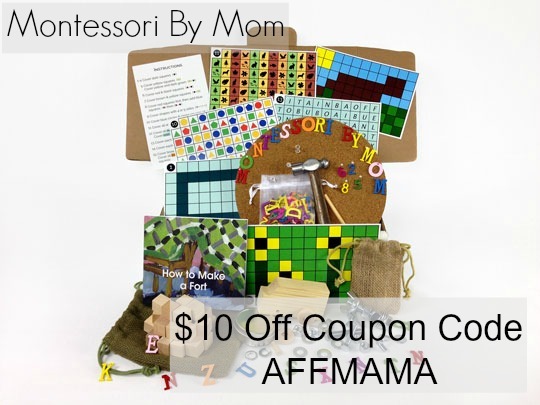 The cards provided are prefect for his language and sensory development and the Imaginets Expansion Kit added to the excitement of his already curious mind. To develop the clean movement for reproducing the letters, we use the geometric cabinet and the leaf cabinet for tracing the outlines with two fingers. This leads to a clear cut feeling of the form of the letters. 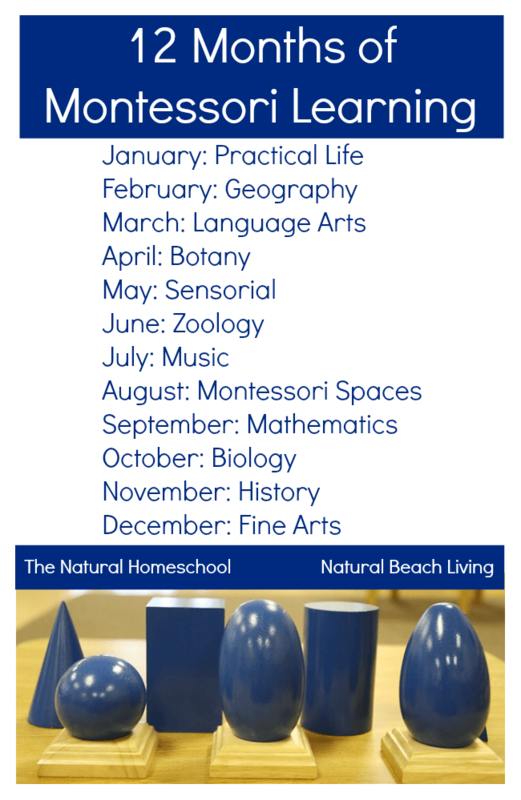 I have tried to enhance our Montessori home environment with activities that will help my children with their language development. 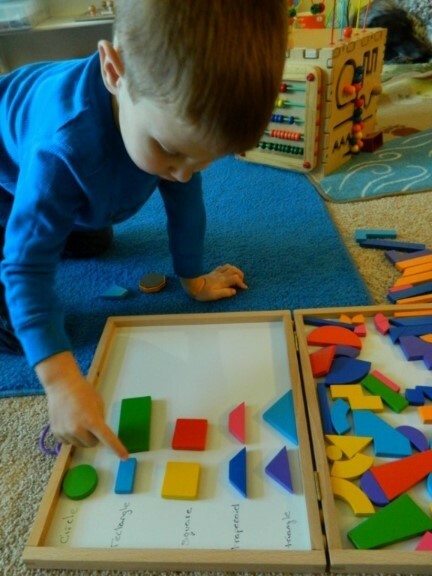 To help develop the skills for writing and reading, children at the preschool age work with geometric shapes because these activities train the eye to see letter shapes. Samuel (age 3.5) is in the sensorial stage of development and I’m preparing him for the abstract/reasoning stage of development (which starts at age six to twelve) and reading, by giving him geometric activities. 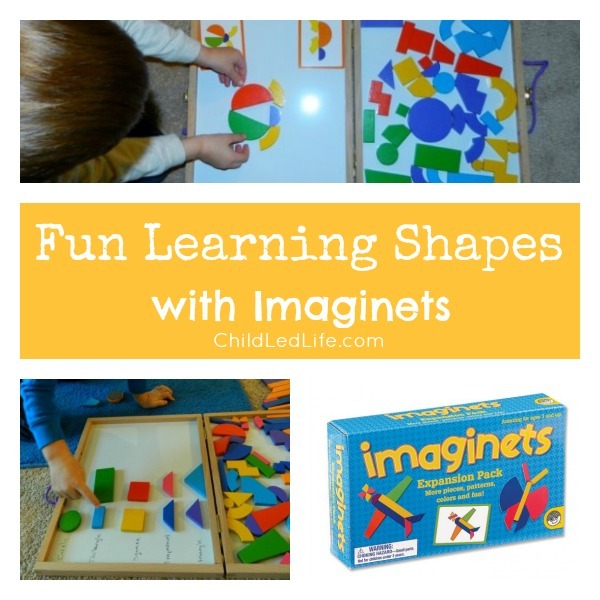 For Small Hands provided me with the opportunity to review two of their quality products, the Imaginets and the Imaginets Extension Kit. This product came with a sturdy wooden case which has a latch and rope handles. It folds completely flat with all pieces safely inside. (This compact activity is VERY helpful in our little apartment.) 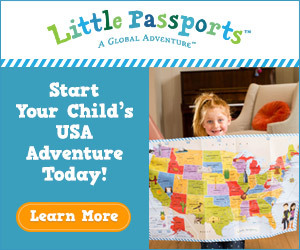 Also provided are 42 colorful magnetic shapes and 25 two-sided design cards that range from easy to hard. 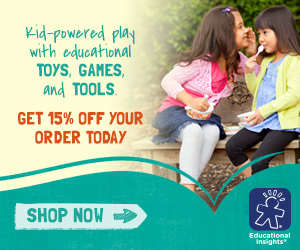 The Imaginets Extension Kit expanded our abilities for working with the Imaginets. 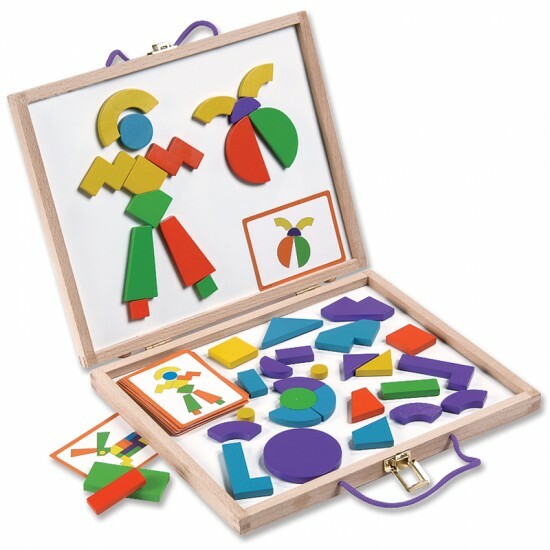 We added 37 new magnetic shapes pieces to our set and 20 new pattern cards. All the added shapes work with the original pieces to create even more pictures. Samuel immediately started ordering the shapes according to the cards provided in the Imaginets before I could get them all out of the packaging. His eager mind excites my heart! 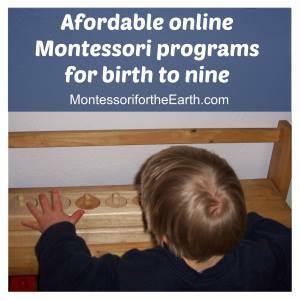 Maria Montessori said, “Order and Knowledge are the base of intellectual life. Upon this foundation the intellect is organized by means of suitable work accomplished in liberty. The tranquility of the environment and the spirit is favorable to concentration of thought, which is the start of intellectual development.” How beautiful it is to see this in Samuel as he has chose to work with this activity first every morning for the last two weeks! 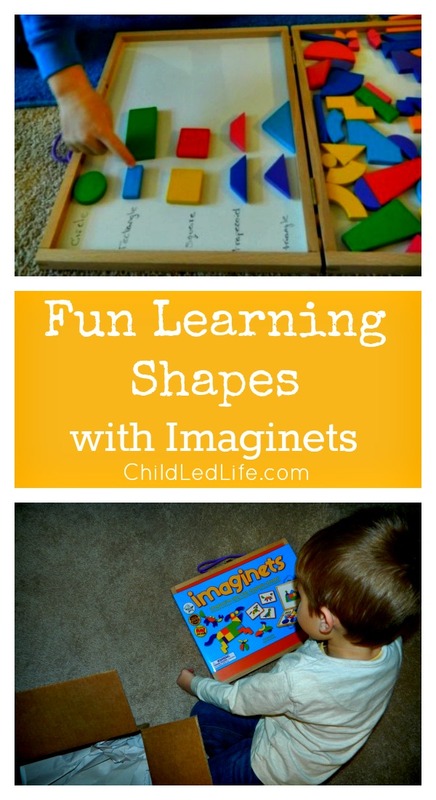 After talking with Lisa Nolan about the Imaginets and Extension Kit, she reminded me of the myriad of add-on activities that can be demonstrated. 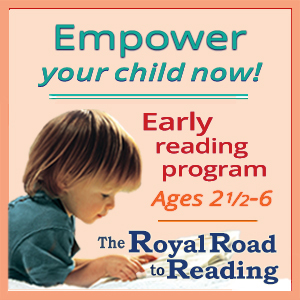 Her training manual suggests, “…as a follow up exercises or game, activities are selected which will encourage the child to apply his newly gained ability, and to repeat, repeat, repeat.” As an example, the child is asked to bring a similar shape from in his own environment, like a square book. As pictured, I asked Samuel to group the same shapes with the corresponding label. Since the Imaginets is a dry erase board, I easily labeled right on the activity and he worked on sorting and grouping. 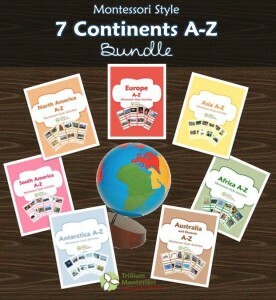 There are many language arts works that can be added to this material. I plan on making use of those post while we continue to learn with this product. 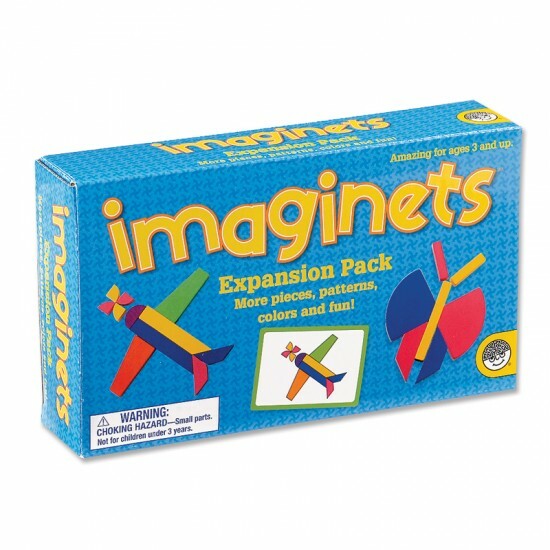 Imaginets (item number Y383) and the Imaginets Expansion Kit (item number Y387) can be found at For Small Hands. 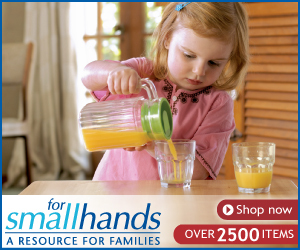 I received these products for free for the purpose of writing a review for For Small Hands, and with whom I am also an affiliate. I get a small commission if you purchase the products, or any other materials, from the links provided in this blog. Thank you! Those look great. I love how open-ended they can be. The board is super too and it is neat that you can write on it. So many possibilities with one product. Thank you for bringing this to people’s attention – I had not heard of it before. 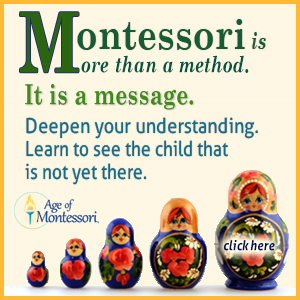 What fun way to learn! Both my boys had a ton of fun with the geometric blocks we had when they were younger. I wish ours had been magnetic. 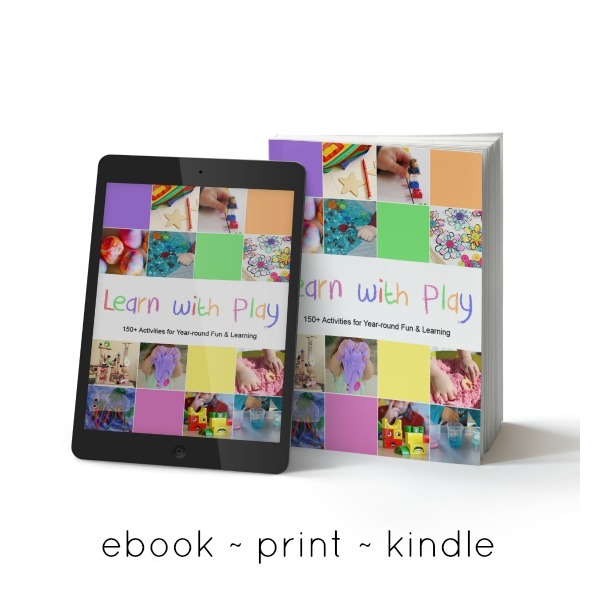 Wow that looks amazing – lots of fun and lots to learn, no wonder your sweet boy was keen to get his hands on it!